In January I spent a week in Tucson, Arizona. 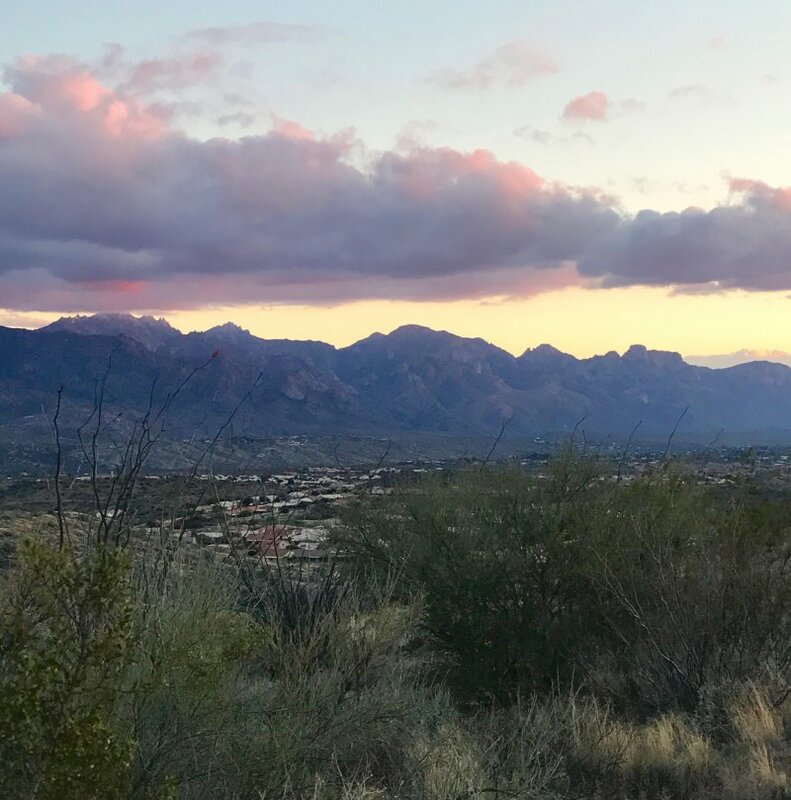 If you look back through my Travel Posts, you’ll notice that it’s one of my favorite places in the U.S. because of the breathtaking desert views, endless sunshine, and stunning sunsets that paint the Arizona sky shades of orange, purple, and pink. If you haven’t been, I highly suggest going. It’s a place I find to be incredibly spiritual, peaceful, and relaxing. Whenever I leave, I find myself feeling rejuvenated and at peace. 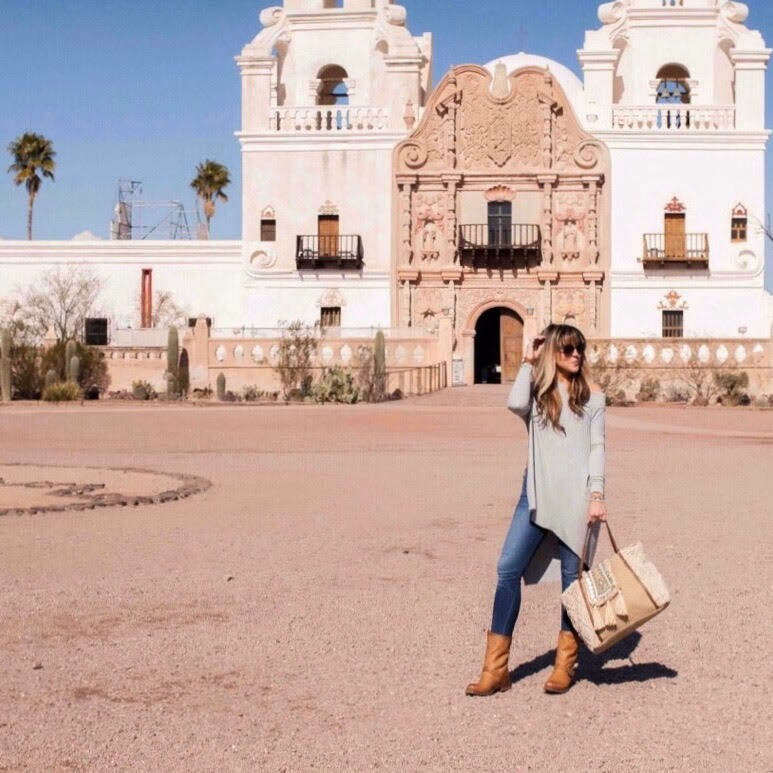 Take a look at my Tucson Day Guide; my curated itinerary for a day spent in Tucson. Looking for Arizona inspiration? You can search #TCGinAZ on Instagram to see all my Arizona posts. If you like travel, be sure to check out my Travel Posts page here on my site and search #TCGTravels on Instagram. 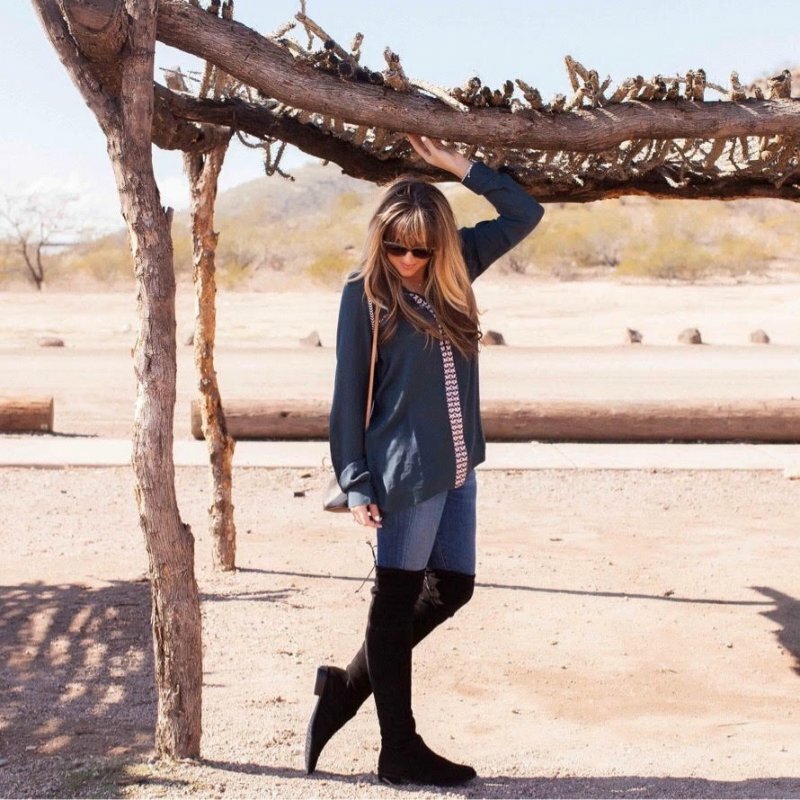 Keep reading to see all my looks from Arizona with easy-to-shop images below. 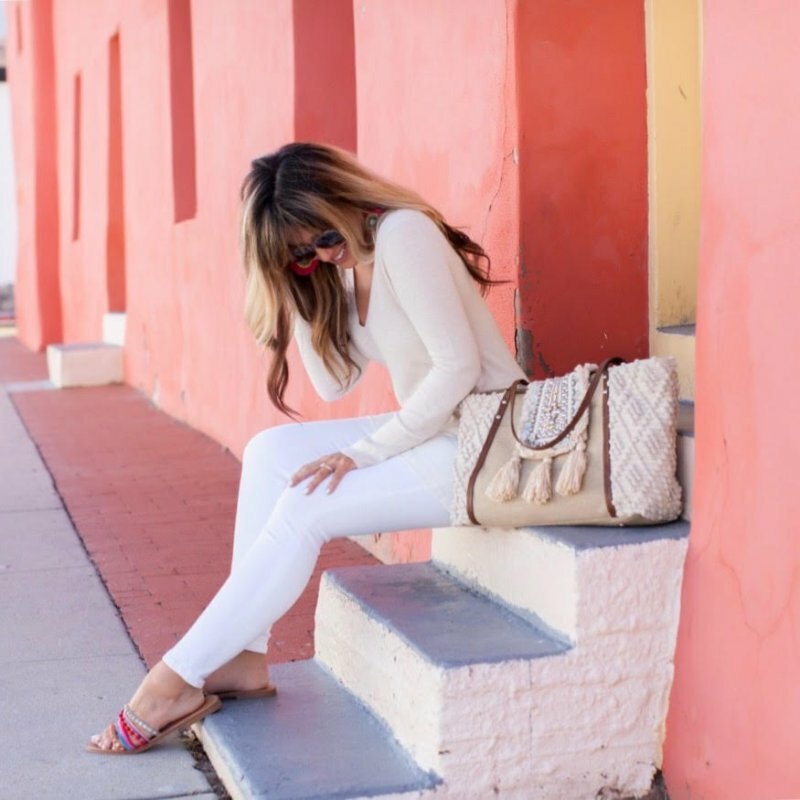 I share my favorite places, eats, and photo spots in Tucson as well. Enjoy! And please let me know if you have any questions. Tucson is a diverse place made up of vibrant college students, sun-seeking retirees, and visitors looking for solace and relaxation. Looking for a resort-like feel with tennis, golf, and swimming? Stay at the Hilton El Conquistador. 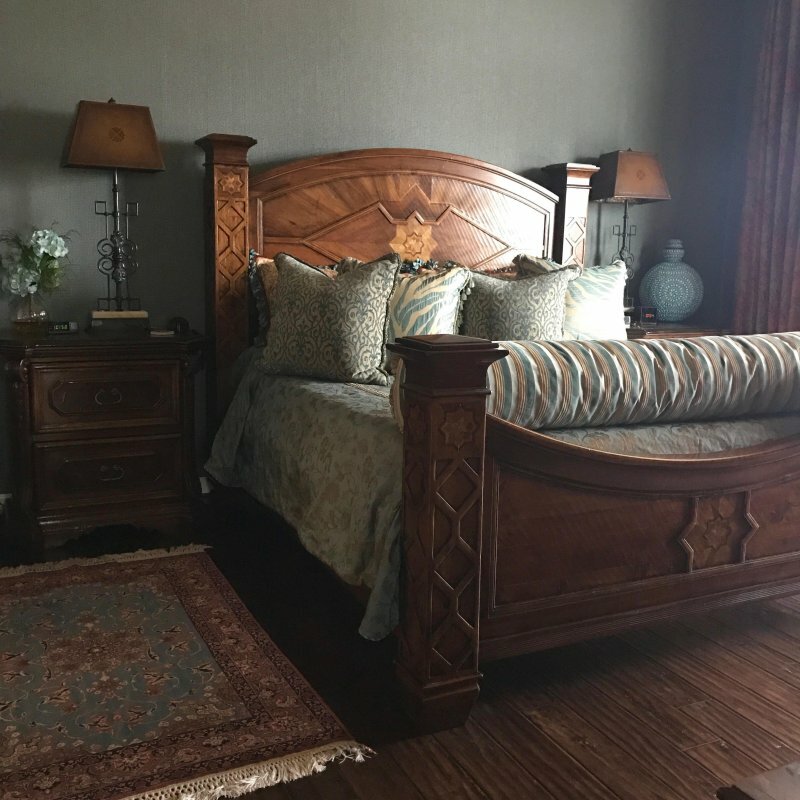 Are you in need of balance, endless spa sessions, and mind-body health? Miraval is the world-renowned spa just outside the city. And if you’re looking for luxe surroundings and top-notch dining options, The Ritz-Carlton Dove Mountain can’t be beat. No matter where you stay, be sure to ask for a room with desert views. The Tucson sunsets pair well with a nice glass of wine and an outdoor fire pit. You really can’t go wrong with dining options in Tucson. Don’t be afraid to be adventurous. The food truck with the paint-chipped exterior and flat tire can hide the most delicious tamales you’ve ever tasted in your life. Mexican and Southwest flavors abound here. One spot I can never miss is Wildflower American Cuisine. 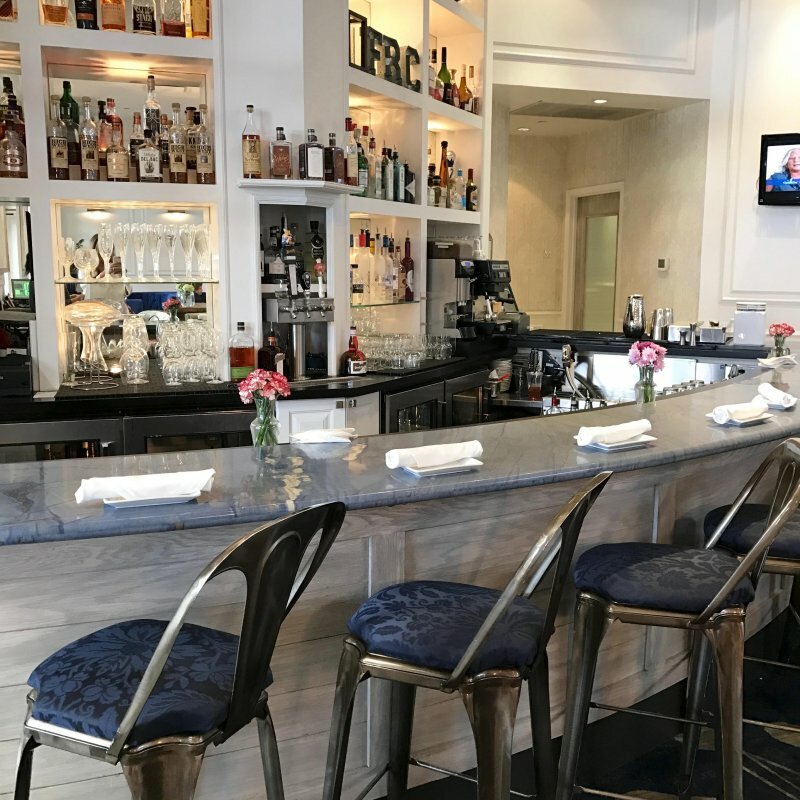 With a truly Instagram-worthy interior, you’ll find yourself torn between snapping the blue upholstery and their fresh, joyful dishes. It’s a great place to grab lunch mid-shopping or chat the afternoon away with one of their custom cocktails in hand. I recommend the tomato bisque, tuna guacamole, short rib tacos, and ahi chopped salad. You won’t be disappointed. We often frequent the restaurants in La Encantada Shopping Center as well; North is one of my favorites. For dinner, you have to make the journey out to CORE Kitchen at The Ritz-Carlton Dove Mountain for dinner and cocktails. Sit and sip a glass of wine while absorbing breathtaking views of towering Saguaro cacti silhouetted against a desert sunset. We’ve spent many hours chatting with friends over dinner at CORE; the cozy atmosphere and jalapeño cornbread muffins will ensure you stay a little longer. In Tucson for some girl time? 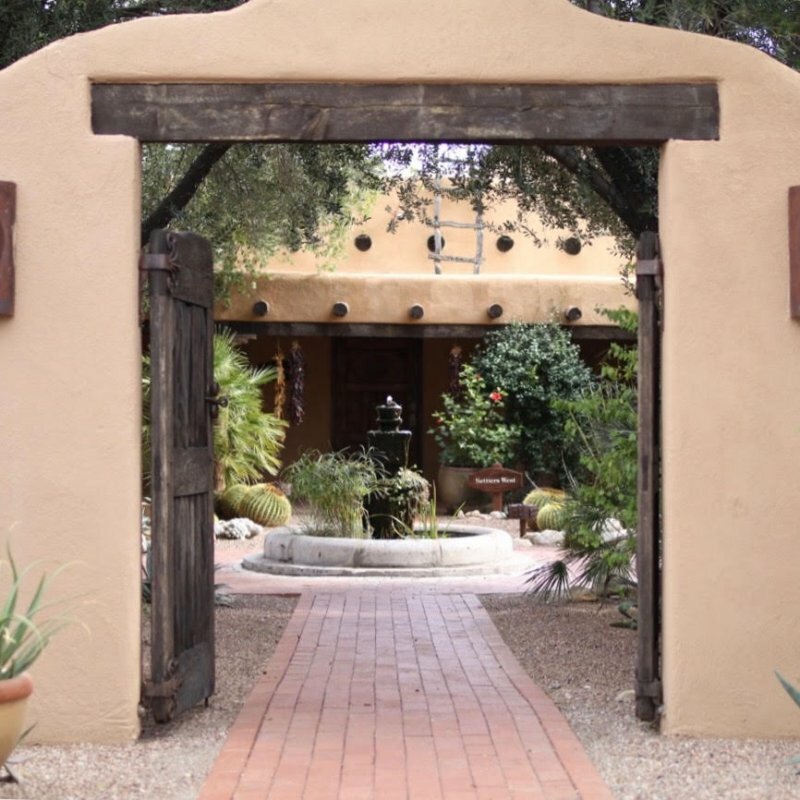 Get spa treatments at Miraval or The Red Door Spa. Check out the luxe shopping and restaurants at La Encantada Shopping Center. And browse the cute boutiques near the University of Arizona. If you’re the sporty type, take a hike up Mount Lemmon or explore Saguaro National Park. Both of these areas are great for photography and painting as well. The most beautiful times of day (as well as usually the most comfortable) are sunrise and just before sunset. Two of my favorite sights to see and explore in Tucson are Biosphere 2 and Mission San Xavier del Bac. Allow a morning or afternoon for each activity as both are outside the city. Biosphere 2 is an Earth systems science research facility that was initially conducted as an outer space colonization experiment. Two different missions saw scientists sealed in the Biosphere for years, testing survivability and technology. The San Xavier Mission was founded as a Catholic mission in 1692. The current church was finished in 1797 and is filled with original statues and paintings. Be sure to take home some fresh Native American fry bread as you leave. Thanks so much for the beautiful pictures and outfit inspirations. Love all your looks! Beautiful photos!